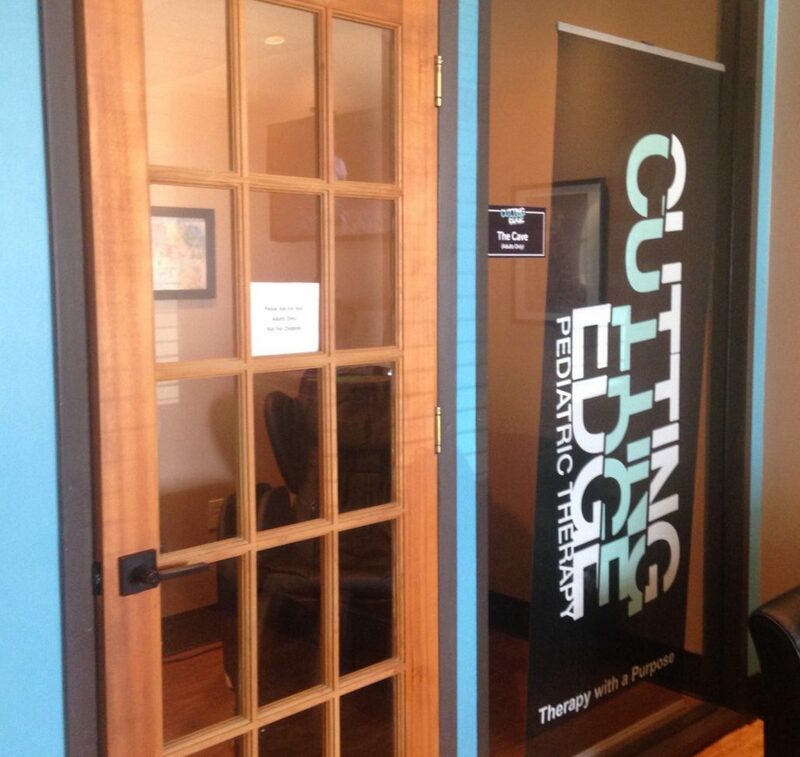 We are very proud of our waiting room here at Cutting Edge, and we think you’ll love it too! We know how stressful life can be, and so when you’re here for your child’s occupational therapy, we want you to feel comfortable. We want you to feel invited. We want you to feel like you can come in and sit down and relax, or that you can do work, or whatever you need to do, knowing that your child is being well taken care of by our staff. We have a seating area where you can come and sit and rest. We also have tables for your laptops, free wifi and a charging station. If you need to work while you’re here waiting, feel free! We want to do whatever we need to do to help you be able to use your time wisely! When you first come in to our waiting area you might notice the fish tank. Our kids love this. The kids, including siblings, tend to gravitate to it. So while parents are sitting down relaxing, the kids are often gathered around the fish tank. We have a nice, big, open space here. Lots of times children bring their toys, and we will often see the siblings out in this space together playing while their brother or sister is in therapy. We also have a TV with Netflix, so siblings waiting with you can watch their favorite show. And then we have “The Cave.” The Cave is in keeping with our motto of wanting to pamper our families. This is a small room with a door that can close, and a massage chair inside. Parents can come in here and relax while their child is in therapy. We want you to be able to come in and sit down and relax, work if you need to, chat with everyone else—we want this to be a social environment as well. (Or go sit quietly in the cave, if you need a little down time!) We want to make you as comfortable, welcomed and relaxed as possible while your child is in therapy! Is there anything we can add for you?